After online banking and mobile banking facilities became really common for the people of India, now we are going to have a complete new facility of operating our banking system solely through our mobile devices. Yes, it is true that mobile only banking system has been launched by the Development bank of Singapore and has been brought to India. The DBS bank has still not been able to make a huge market in India and presently it has 12 branches, but it has focused on a target of expanding it to 50 branches by the year 2018. 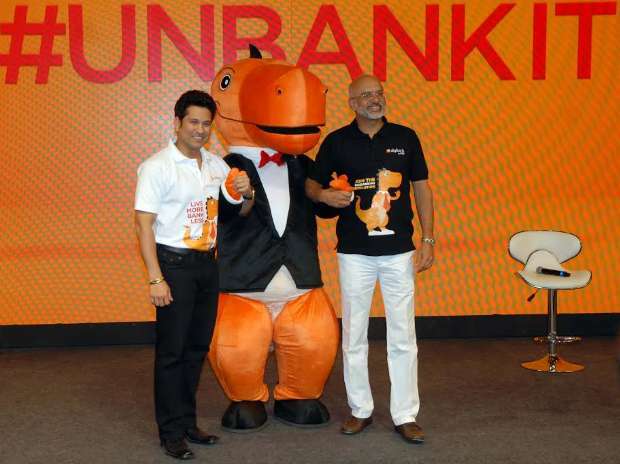 Not being able to cope with the policies of Singapore government, the DBS bank has launched the first “mobile only” bank also known as Digibank at Mumbai. Mumbai, which is also known as the financial district of India, has made the foothold of DBS mobile only bank really strong. It will solely work on artificial intelligence and the branch is completely automated. The mobile only framework is focused on technologies that are going to make banking much more interactive and intuitive for the customers. The mobile only bank does not require forms for opening an account and the account can be opened from extensive networks or outlets that are run by the DBS partners that includes more than 500 cafes in India. There will be no form or paperwork involved. The customer authentication shall be done through the bio-metric scanners and IDs that are issued to more than 1 billion users and the Aadhar card. Over the next 5 years, the DBS is planning to include five billion banking customers. Now, considering the customer services offered, it will be given by AI driven virtual assistants which can answer different queries, starting from banking transactions like finding out the previous transactions or the transfer of funds. This will replace the need for a call centre agent. About the opportunities, the primary idea behind mobile only banking framework, is to enhance the reach of customer extension. With more than a billion Aadhar card and 200 million Smartphone users in India, the growth opportunity is really extensive. It is a fact that the physical banks are a story of past and in this digital era, manual labor behind such activities is starting to become a waste. The years 2015 and 2016 have encouraged a large number of startups who have launched their own digital wallets that developed payment solutions for banks. In case the customers are having the existing bank account with DBS, they can easily avail the transfer of funds through Digibank. This helps the customers to open a digital wallet of their own. For mobile banking solutions, instead of having the CSE, DBS offers flexibility for using the resources in physical branches. For the solutions of AI, DBS has partnered with the US based fintech kasisto that offers all the customer related solutions for offering the virtual assistance to customers. This feature can offer real time solutions and also add questions to the database as it interacts more with customers. Also, the OTP is no more a part of mobile banking. For authentication, it makes use of Dynamic Inbuilt Security. This works like a soft token security. Users won’t have to wait for the OTP for authorizing the transaction and it shall be done automatically. The DBS takes up only 90 seconds for opening up a bank account and also an e-wallet. You won’t need any signature or paperwork. For paying the utility bills, you shall use the digital wallet and also recharge your network. With the pairing of e-wallet with VISA Virtual Debit Card, the DBS can have access to more than 1 lakh merchants all over India. It also offers discounts and coupons for selected merchants. 1. Facilities offered There is no paperwork involved and the authentication shall be done through bio-metric scanners. Aadhar card is required. The AI driven virtual assistants shall be used for answering all he queries of customers. 2. How will DBS go digital If customers have existing bank account with DBS, then they can easily transfer funds. This helps in opening a digital wallet. DDBS has partnered with kasisto, which is a US based technical solutions company for virtually assisting customers. OTP shall no more be a part of authentication procedure. 3. E-Wallet It takes only 90 seconds for opening up a bank account. The E-wallet can be used for paying up the Utility bills. DBS can have access to more than 1 lakh merchants through pairing of E-wallet with VISA.